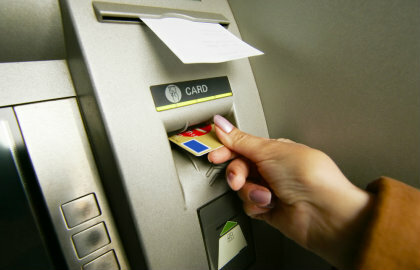 Need to withdraw cash but nowhere near a branch? No problem. Westside State Bank has partnered with several nationwide ATM networks to offer our well-deserving customers access to thousands of ATM locations, without having to pay those pesky service fees. Simply go online 24/7 to find the location that's most convenient for you. Whether you're in one of our branches or beyond, we're always working hard to ensure your banking experiences are good ones. When you're enrolled in a Kasasa® checking account, you receive unlimited ATM fee refunds* by doing simple banking tasks you're probably already doing anyway. Learn more about our Kasasa Cash®, Kasasa Cash Back®, and Kasasa Tunes® accounts.